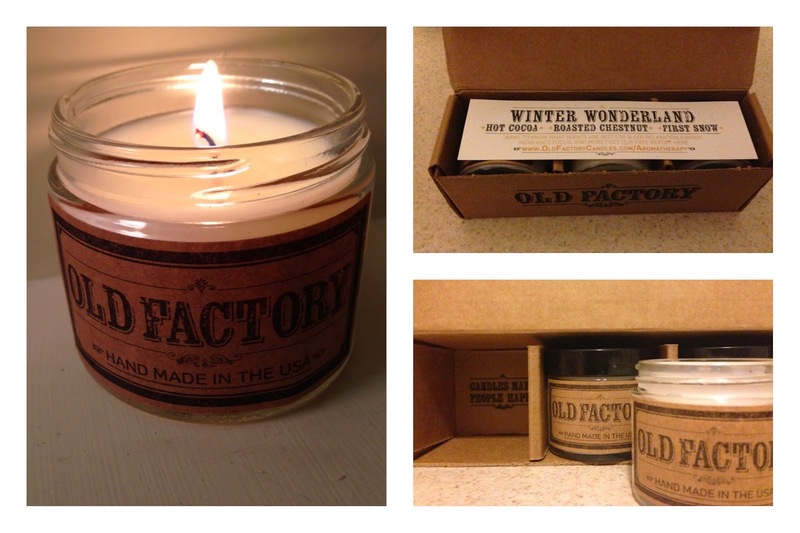 I recently had the chance to receive and test a set of Old Factory candles. What's even better is I also have the chance to offer YOU a free set! Keep reading to find out how. These candles come in a variety of themed sets, including Happy Holidays, New Born Baby, Coffee Shop, Fifty Shades, Fresh and Clean, High as a Kite, Spa Day, Man Cave, Vacation, and Romance. On the day I was asked to choose which set I wanted to sample Omaha had its first snow, so it seemed like a no-brainer to choose the Winter Wonderland set. It arrived a few days later and that night I burned the Hot Cocoa candle while I packed. That might have been a mistake, because it set the bar so high for the others. I've never really thought about using chocolate as a scent in my apartment, but I love it. I particularly love that the scent lingers after the candle stops burning. On one of the product pages I read these candles are great for small rooms or, if used in a larger rooms, you should use two of the candles as the scents included in the kit are intended to be complementary. In my studio apartment, one candle does the job wonderfully. The scent is present without being overpowering. The First Snow candle is a fresh, clean scent that is nothing special but certainly isn't bothersome. Roasted Chestnut is the perfect addition to the scent, bridging the gap between the nearly edible Hot Cocoa and the more sterile Fresh Snow. The candles are on sale now on Amazon. Especially with the holidays approaching, I think these sets would make wonderful gifts. You can treat yourself by entering to win a free set below!